The River Fane flows out of Lough Ross in a South Easterly direction, past the villages of Inniskeen and Knockbridge, on its way into the Dundalk Bay, just below Blackrock. 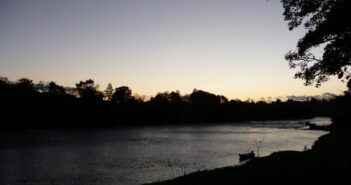 The tributaries of the Fane rise in counties Monaghan and Armagh and together with the main river, they form over 30 miles of water. The lower part of the Fane is affected by the tide up as far as Craig’s pool, just below Stephenstown Bridge (the N52 crossing). Wide open banks on the Fane.The longest of the tributaries is the Mullaghduff River (also known as the Little Fane or the County Water), which flows into Lough Muckno from the North East side. Lough Muckno is just upstream of Lough Ross and the two are connected by the River Clarebane, but this is all part of the Fane system. The two other tributaries are the Frankfort River and the Drumleak River, both of which flow into Lough Muckno from the North west side. Autumn conditions on the River Fane.The River Fane used to be a good spring fishery but not any more. Even the Grilse run is not that great. However, the run of big (10lb+) autumn fish more than makes up for the demise of the early season fishing. This starts in August and continues right through until the end of the season. The river needs plenty of water to get the fish up over the Mill weir, just below Stephenstown Bridge. In low water the best fishing will be from Craig’s pool (downstream from the Mill weir), down to below Mc Kenna’s Bridge (Green Road crossing). After a good flood the fishing is good right up to about ½ mile above Magoney Bridge, which is just over 2 miles upstream of Inniskeen. Mill Weir on the River Fane.The main pools, working upstream from just below Mc Kenna’s Bridge to Stephenstown Bridge are the Railway Pool, Boiling Pool, Garden Pool, Craig’s Pool, Mill Pool and Joes Pool. Of these pools, Craig’s is possibly the best. Above Stephenstown Bridge, up to just above Knock Bridge (R171 crossing), you’ve got Fitzgerald’s Pool, Swingbridge Pool, Hall Pool, Narrow Neck Pool, Turn Hole and Duffy’s Pool. From Castlering Bridge (R178 crossing) to Inniskeen the main pools are the Campbell’s Mill Pool, Peppers Wall, Mulholland’s Pool, The Splink and Kearney’s. The weir at Inniskeen.The Sea Trout fishing starts in June and lasts right through until September. The best fishing is around the Mc Kenna’s Bridge area, but you can fish right up to Knock Bridge. 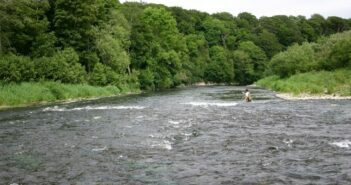 The best fly fishing is perhaps on the ¼ mile stretch below Knock Bridge to Stephenstown House. The Fane also has good Brown Trout fishing and the best of it is from Knock Bridge upstream to Cullaville Bridge (R179), although there is still plenty of fish right up to, and past, Inniskeen. The fishing is good from late April, right through the summer. 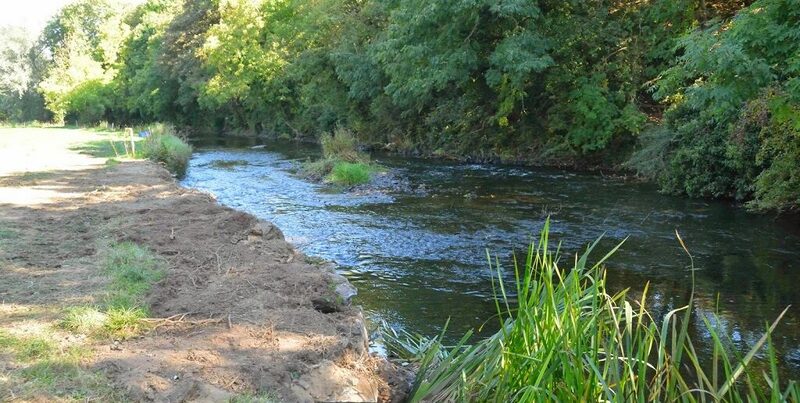 The fishing rights on the river are held between, the Dundalk Salmon Anglers, the Dundalk & District Brown Trout Anglers Association, the Village Anglers (at Inniskeen) and in some cases the Riparian owners. It is advisable to check with each party, as to where their waters are situated. 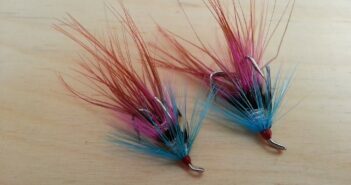 There is also a syndicate, which controls the Balintra fishery just below Inniskeen, but unlike the rest of the river, there are no day tickets for this stretch.